Extended maintenance of Ruby versions 1.8.7 and 1.9.2 will end on July 31, 2014 after a six month extension graciously supported by Heroku. Avdi Grimm has documented the process of retrofitting tests to a test-less Sinatra app using RSpec, Rake::Test, Capybara, EmailSpec and Pony, mocking OmniAuth callbacks, and DatabaseCleaner. Very useful. Experience superior performance, easier deployment and amazing support for free. 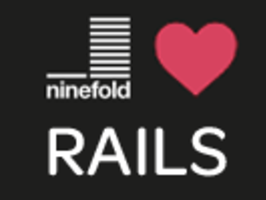 Just sign-up, deploy a Rails app and enter your billing details within 30 days. This gets you a 1.5 GB combined Rails app server in the US, for free, forever. Awesome Ruby: A Curated Collection of Awesome Ruby Libraries, Tools, etc. All split up into a ton of categories such as caching, file uploads, style guides, WebSockets, threading, etc. All it’s missing is Ruby Weekly, haha. Chris Zetter, a developer in the FutureLearn product team, talks about how the team writes feature tests after moving from Cucumber to RSpec in the pursuit of maintainable and readable tests.